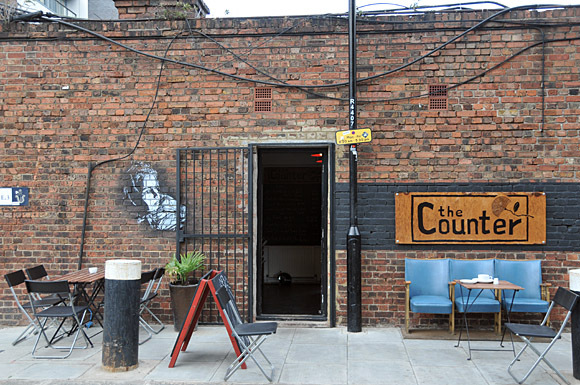 So, having studied Timeout’s article this weekend, I was reminded to review a little-known, but critically acclaimed cafe in Hackney Wick called The Counter Cafe. I was fortunate enough to happen across The Counter when my friend moved into the adjacent block of flats, and when she moved out my boyfriend conveniently moved in, so my antipodean breakfast fix never went unnourished. Until now. Now that we live the other side of Victoria Park, and there are so many excellent cafes in our vicinity we don’t go back as much as we should. That’s not to say we haven’t – The Counter’s Brunch is in fact good enough to tempt me to traipse across East London even in the rain – but it does take a rather strong craving on my part to make the trip. The breakfasts at The Counter are the closest thing I have come to a truly Aussie breakfast in London – tomato chutney and potato cake and all. Their big breakfast doesn’t come cheap but is totally worth it in that you find your hunger sated, taste buds tingling and tummy much happier than if you’d headed to the local greasy spoon. You even get spinach – really, they’re thinking of you. Whether you’re after a croissant, baguette with bacon and avocado or the full monty, The Counter has something for everyone and now it’s moved into Stour Space it even has a mezzanine level and view of the canal – snazzy. If you’re over this end of town, you may as well make a trip of it and take a walk down the Green Way to The Container Cafe which makes up the ‘eating’ part of the London Olympics’ View Tube experience. Come for a wander to help your breakfast digest, take in the Olympics site and top up those caffeine levels with one of their expertly poured ‘frothy coffees.’ Run by the same people, you get all the perks of The Counter, but on a slightly reduced scale. You can find a map of how to get from The Counter Cafe to The Container Cafe here. 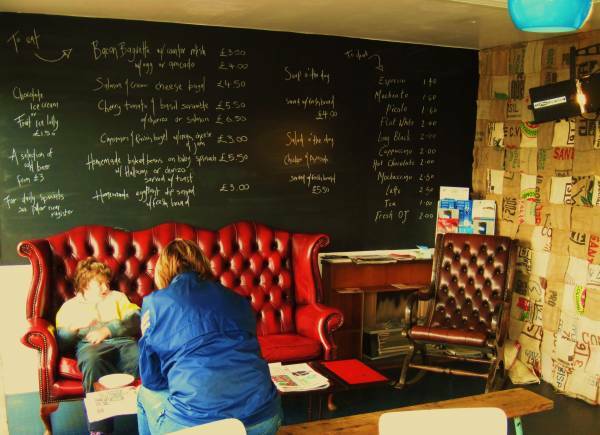 The Counter Cafe is on Facebook, Twitter, and, they even have their own website.